Taken in: Chefchaouen, Morocco, 2016. 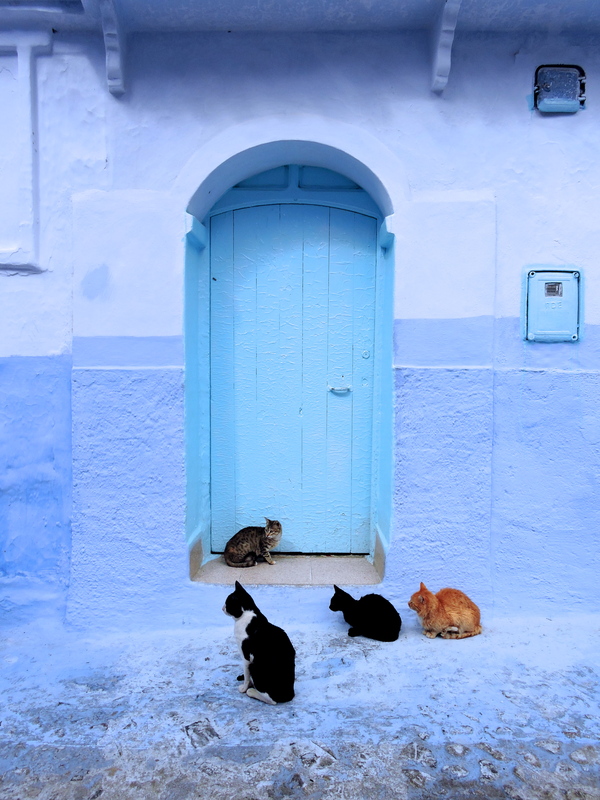 This is one of my favourite pictures from Chefchaouen, Morocco’s blue town. Not only is this doorway absolutely adorable, but I love how the cats are congregating on the doorstep, as if guarding the house.